The 21 Day Fix is an at-home workout program designed to be used in three week increments to help you lose up to 15 pounds in just 21 days. While the program does teach you about working out properly for better health, it also teaches you how to eat better and make the necessary lifestyle choices to ensure you stay on track with the best diet possible. The 21 Day Fix may be the ideal choice for individuals that aren’t sure how to start eating better for a better life. As part of the program, Shakeology and 21 Day Fix may make a good partnership for those just starting out. As part of the 21 Day Fix program, you get access to six 30-minute workouts and learn about the Portion Control system. The program package provides a series of containers that are color coded and divided into specific-sized portions for the various food groups including fruits, vegetables, proteins, and healthy fats. Also included is a Shakeology Shaker cup for mixing up a nutritious Shakeology shake as part of the 21 Day Fix. A 21 Day Fix Eating Plan is included that helps you eat better based on a portion control plan. A 3 Day Quick Fix is designed to get your weight loss goals started with a meal plan that is meant to promote fat loss. Every program also offers 24/7 online support. When you use the 21 Day Fix and follow the eating plan, you are teaching yourself how to eat better for life not just while on a ‘diet’. You learn how to effectively portion your food with each meal so you not only lose weight, you also gain a new perspective on fueling your body. By combining Shakeology and 21 Day Fix, you have the added benefit of being able to enjoy tasty shakes in a variety of flavors each day in addition to your other healthy eating lessons. The Shakeology shakes help to control cravings which can be all too great a temptation especially when just starting the program. The Shakeology shakes help you feel fuller longer and give you the energy you need to make it through each 30 minute workout so you look forward to the next. The Shakeology shakes are available in six different flavors so you can alternate through your favorites throughout the 21 days. When you’ve completed the three week program, you can start it all over again at any time to continue eating properly, shedding unwanted pounds, and enjoying the many health benefits the program and the Shakeology shakes offer. 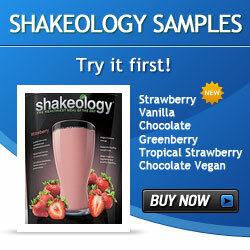 Order Shakeology & 21 Day Fit together and SAVE! Dieting is hard and most people who go on diets end up losing weight as soon as they return to their normal lifestyle. The 21 day fix with Shakeology is not a diet – it helps you learn the right way to eat so you get great results without worrying about counting calories. Commit to the 21 day fix with Shakeology and watch your body change, get in better shape, and lose up to 15 pounds in just 21 days. Upper body shaping for chest, arms, shoulders, back and abs. Pilates for strengthening core muscles and firming thighs and hips. Cardio for getting your heart rate pumping. Yoga for improving flexibility, balance and strength. Stop counting calories or measuring everything you eat with measuring cups and food scales. The 21 Day Fix with Shakeology is going to make the entire food process simple for you. The program includes a Shakeology shaker cup and 7 color-coded containers that show you how to portion your meals without guessing or measuring. Fill each container with as much food as you want. If the food fits into the container, you can eat it. Color coded containers ensure you get exactly the right portions for fruits, proteins, carbs, fats, cheese, seeds and oils for each meal. You may be thinking you won’t see too much evidence the program works in just 21 days, but you’re wrong! People who commit to the program for just 21 days can lose up to 15 pounds and many inches. You can drop several clothes sizes in just 3 weeks. Weight loss with the 21 Day Fix with Shakeology program is guaranteed. You can buy the program and try it for up to 30 days. If you don’t see results, you can return it for a refund. Pretty sure you won’t find a gym membership willing to give you a refund when you don’t lose weight or drop clothing sizes in your first month! What are you waiting for? Buy the 21 Day Fix with Shakeology and start losing weight.